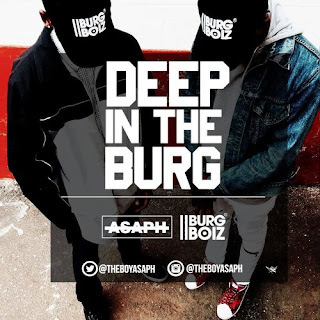 Like clockwork the visuals for Up In The Burg dropped on Monday. If you're wondering where some of the shots were taken it was at Made In Bulawayo, where Cal_Vin successfully launched his Planet Vin album (the review for that is coming soon). Some familiar faces include Gze, Sharky and Asaph. Tomorrow we await the final installment to Season 1 of Deep In The Burg then I'll do my roundup review of the whole season.